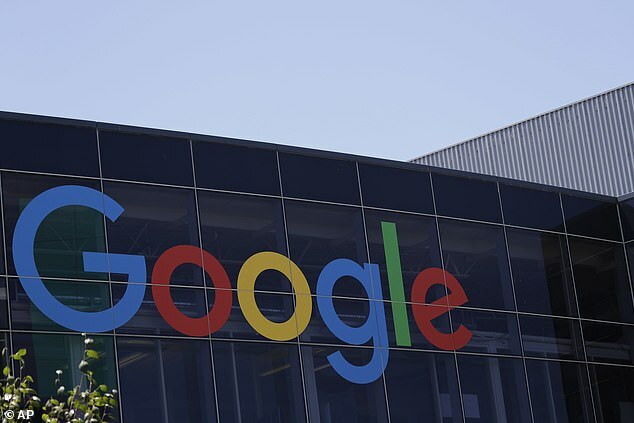 Google has denounced the European Union’s controversial new copyright reforms, saying they would produce legal uncertainty and hurt the bloc’s creative and digital economies. The European Parliament on Tuesday approved the overhaul, which hands more power to news publishers and record companies against internet giants. A strong opponent of the overhaul, Google said following the vote that there had been some changes to the European Commission’s proposal but that the details matter. The new rules mean the technology giant, along with companies like YouTube and Facebook, will have to pay fair compensation to publishers, artists and musicians. 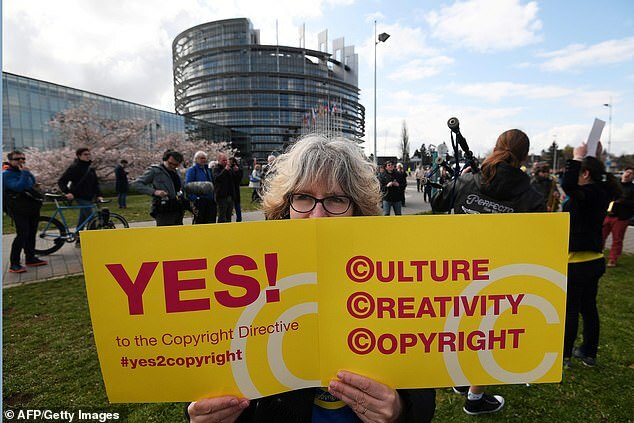 The vote brings to an end three years of impassioned debate which has pitted the internet giants against creative writers and artists who want to see better protection of their rights and income. 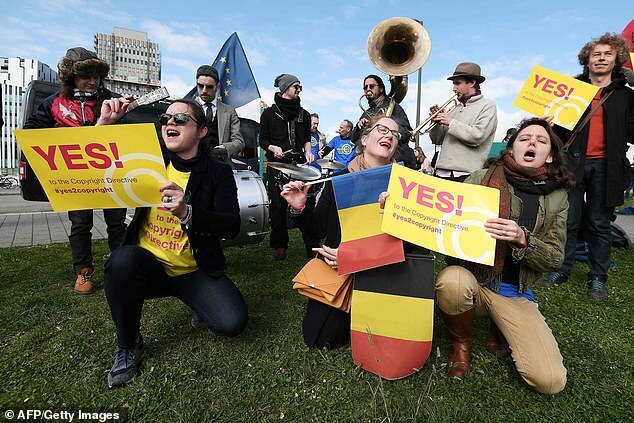 Supporters in the creative and music industry had argued that the Copyright Directive would enable content makers to be fairly paid for their work, while opponents, including the tech giants themselves, fear the changes could have an impact on freedom of speech and expression online. 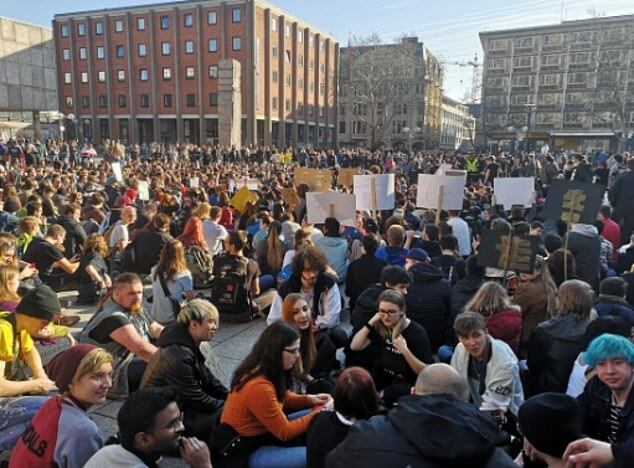 EU decision makers had been deliberating about the extent of the reforms for years, most recently tweaking the text to make some exemptions, such as non-commercial encyclopaedias like Wikipedia, and introducing protections for popular web memes. EU member states have two years to implement the law, although it is not clear what it would mean for the UK in the face of Brexit uncertainty. ‘Whether the UK leaves Europe with or without a deal, it’s hard to see that it would not follow Europe’s lead on this, whatever the respective outcomes of the EU vote tomorrow and Brexit,’ Raffaella De Santis, associate at law firm Harbottle & Lewis, said. 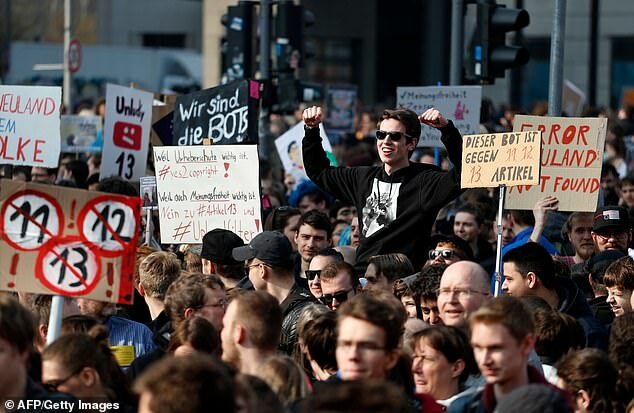 More than five million people signed a ‘save the internet’ petition against the changes, as well as taking to the streets in protest across Europe last month. Catherine Stihler, chief executive of Open Knowledge International, said: ‘This vote is a massive blow for every internet user in Europe. 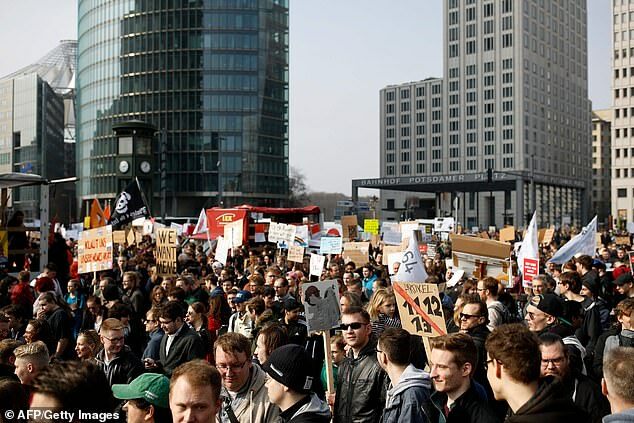 ‘MEPs have rejected pleas from millions of EU citizens to save the internet, and chose instead to restrict freedom of speech and expression online. ‘We now risk the creation of a more closed society at the very time we should be using digital advances to build a more open world where knowledge creates power for the many, not the few. On the other side of the debate, Sir Paul McCartney and Debbie Harry have been among the most vocal supporters of the proposals. ‘It will allow artists to continue to create the music loved by fans all over the world by ensuring that the digital services that generate vast profits from music can no longer claim to have no responsibility for the content their businesses depend on,’ Blondie singer Harry wrote in the Guardian last week. The law was also supported by news agencies across Europe, with the EANA (European Alliance of News Agencies) arguing it provides an opportunity to further develop quality news services and enables it to compete more fairly with tech giants.